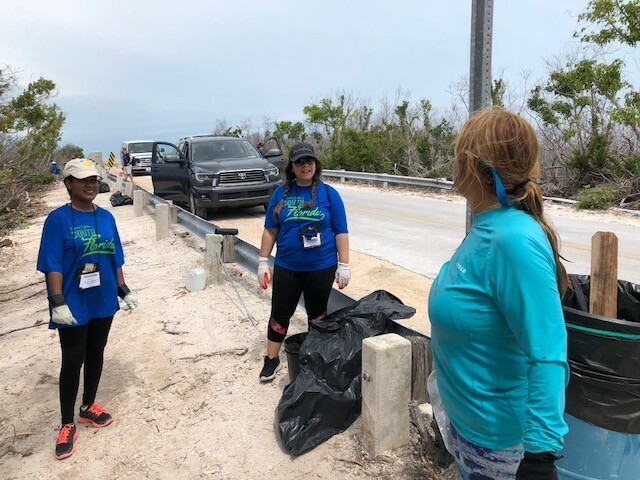 More than a dozen travel advisors were part of a 150-person team who recently descended on the Florida Keys, to help care for its most precious asset, the natural environment that makes the tourism destination so special. Just weeks before the beginning of the peak summer travel season, hotels, restaurants and marinas are open, but the Florida Keys’ inlets, mangroves and some of its parks still need to be cleaned. That’s why Tourism Cares recently hosted travel agents and other industry employees and executives for a cleanup that included projects in eight different sites, including rebuilding an owl enclosure at the Florida Keys Wild Bird Rehabilitation Center; helping with maintenance and observations at the Coral Restoration Foundation; assessing reef health with the Reef Environmental Education Foundation; and debris clean up at the Florida Keys National Marine Sanctuary. The Tourism Cares project started a few days earlier at Virginia Key Beach Park, the site of a volunteer project in 2014. Located on an island just south of Miami Beach, the park is on the National Register of Historic Places and is known for its mangroves and the role it played in America’s Civil Rights movement locally. Approximately 60 percent of the volunteers were at least a day’s drive from the Keys. 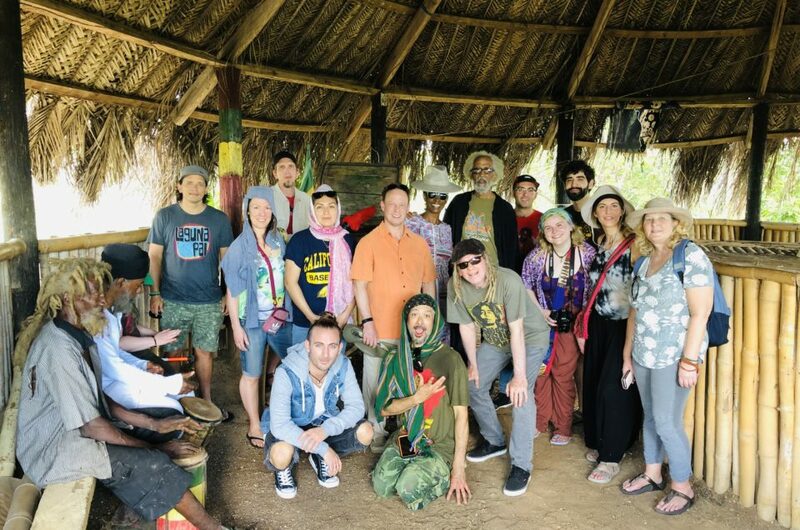 Others, including Virginia Key Beach Park’s director, who joined the Tourism Cares group in the Florida Keys, lived much closer. Roslyn Parker, the CEO at Travel to Do Good, based in Houston, Texas, participated in one of the cleanup projects. 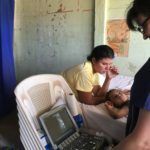 “As a travel professional who specializes in volunteer travel, I felt it was my responsibility to be in service to the Keys in this way, and Tourism Cares was the perfect vehicle to do that,” said Parker, who lived in South Florida for many years, and most recently returned there after living in Houston. Parker joined “The Conch Republic Marine Army,” a grassroots, volunteer organization created by Big Pine Key resident Brian Vest last year, after Hurricane Irma recovery began. There were two Tourism Cares groups volunteering there, some in kayaks and others on the shoreline, picking up debris. “It was hard to believe how much we had picked up until I saw all the lawn chairs, tables, bottles, tires and even an old refrigerator,” Parker said. During the second half of the day, the trash bags were moved to a central point by a human chain, for the city to pick up later. 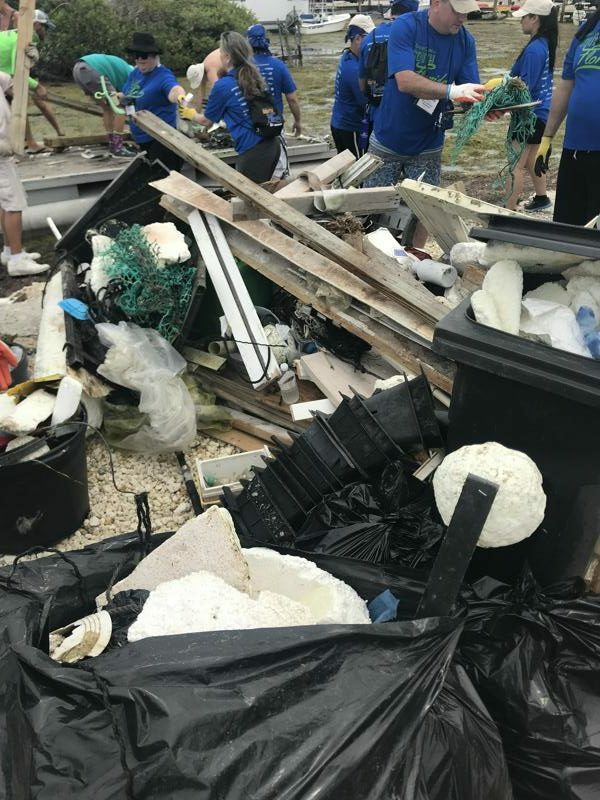 “When I looked at the pile I wondered how negatively the environment would have been impacted by the hurricane had Brian not started his nonprofit,” Parker said. Vest estimates his volunteers have pulled nearly 70 tons of debris from the Florida Keys’ waters since December. 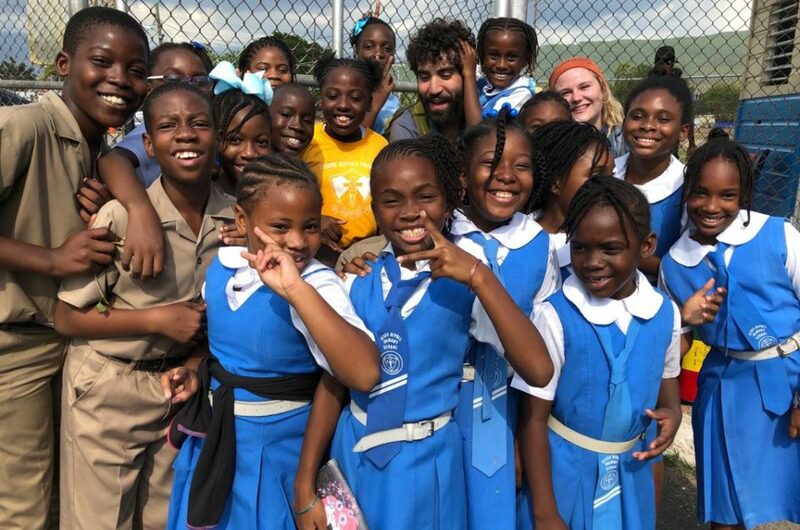 “We are making a measurable difference in the tons of trash we remove, but the impact on the ocean and on people’s lives is immeasurable,” he said. 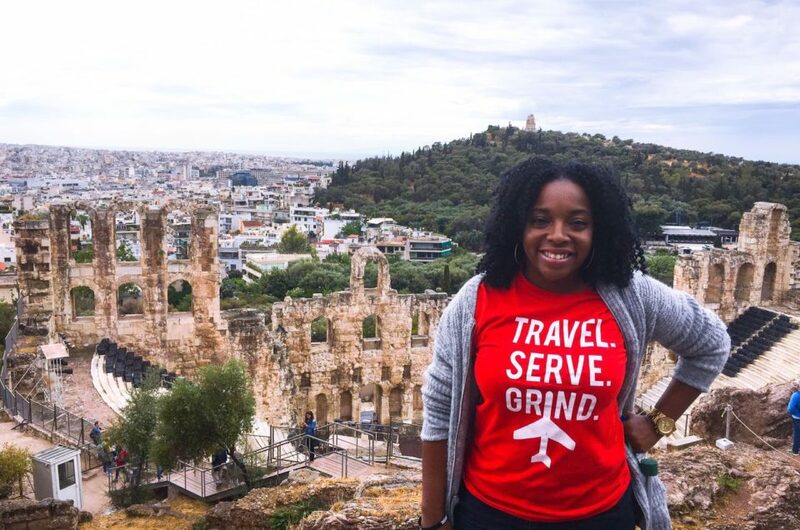 Attending her second Tourism Cares project was travel advisor Codie Richards, of Elm Grove, Wisconsin. Richards kayaked into the mangroves to remove garbage, much of it debris from the homes of local residents. The day before they worked, the group viewed the Netflix film, “Chasing Coral,” which documents how coral reefs around the world are vanishing at an unprecedented rate. “It reminds you how important it is to travel and not leave a mark,” Richards said. As a result of what he learned, Tourism Cares’ Yonce has become an advocate now for coral-safe sunscreen. Tourism Cares for South Florida was supported financially and through other donations by Amadeus, Royal Caribbean Cruises, Visit Florida, Azamara Club Cruises, Booking.com, Celebrity Cruises, Cruise Lines International Association (CLIA), Collette, Delta Air Lines, the Las Vegas Convention & Visitors Authority, Maverick Aviation Group, the National Tour Association (NTA), Signature Travel Network, and Trip Mate. The Florida Keys project is part of Tourism Cares’ year-long Uniting for Resilient Destinations volunteer program. Uniting for Resilient Destinations continues in September with Tourism Cares for New Orleans.